Home Opinions	Who will find out what’s wrong with ConU? After much assigning of blame and hemming and hawing as to how to go about fixing the problems that plague Concordia’s administration, a minor solution was presented two weeks ago in order to try and stem the flow of problems. By now, you can probably run off the laundry list of issues at Concordia in your sleep: major VPs have jumped ship for better jobs or ‘personal reasons,’ the president evaporated in a mysterious cloud of controversy right before the winter holidays and students, profs, staff and alumni are largely up in arms against the Board of Governors and its chair, Peter Kruyt. Woodsworth’s interim replacement, Frederick Lowy, stepping into his old job, promised to listen to the complaints and grievances shared by students, staff and faculty. And listen he did, at senate meetings and likely several backroom, steering and casual meetings. But it’s clear he’s reached the end of his rope: at the last Board of Governors meeting, Lowy said a culture of victimization seems to be perpetuating itself at every level at the university. The time has come, he said, to talk of other things and stop blaming Peter Kruyt for all the problems at school. So, last week, shortly before students went off on spring break (ahem, we mean reading week) Lowy proposed the creation of a committee based on a January Senate motion to create an external revenue committee. After some debate, the Board of Governors voted to approve such a committee, whose job will be to evaluate the university’s governance. While we agree with some senators, including graduate representative Robert Sonin, that we won’t be able to fully move on until we know all the details about Woodsworth’s dismissal and what contrived to bring her down, we’re in support of a motion that can finally start to put this business to rest. This committee’s powers and parametres are not yet fully sketched out; they will be decided at an upcoming steering committee meeting. The deadline for their evaluation and eventual report and whether their recommendations be binding have yet to be decided. The number of members is but a handful; we’re looking for three people. Ideally, the members, according to Lowy, will include the following: someone with experience working in university administration, an expert in the not-for-profit sector and an outside faculty member. Just where he’ll find his ideal candidates, we’re not too sure. We hope he’ll also add to the qualifications list an ability to hear both sides of the story, co-operative teamwork. While the prospect of having people with zero connection to Concordia coming in, observing and evaluating the governance scheme seems like a dicey proposition, this kind of arm’s length for observers should prove the best method to fixing Concordia’s long-running problems. The Board of Governors itself has many external members from the larger community; the goal is to ensure that they will provide an outside, independent voice and reasoning to the insular workings of the university. But, as evidenced by the members who have spent years over their terms on the BoG, these good intentions have likely been warped as members became entrenched in school politics and have not budged from their spots. And so, perhaps some fresh outside voices will provide some much-needed perspective to the stodgy BoG. 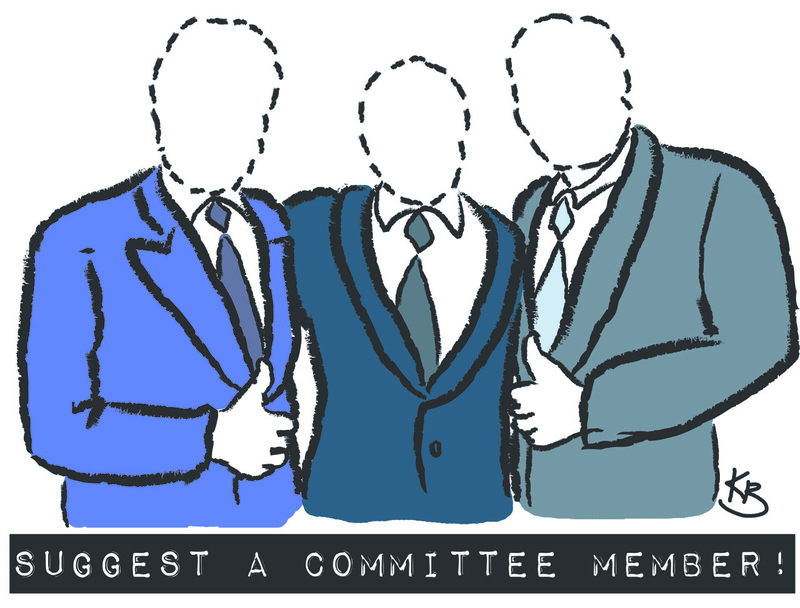 We hope that the search process goes smoothly; let Lowy know if you think you’ve found someone who might make a perfect fit for the committee. Do you have a friend who’s working for a non-profit? Someone who knows universities inside and out? A professor from your last school? Send Lowy an email with your suggestions at president@concordia.ca. After all, this is the group that will supposedly be going through your university with a fine tooth comb. But one clear problem that needs fixing remains: the continued presence of Peter Kruyt as chair of the Board of Governors. If it’s true, as Lowy and BoG part-time faculty observer Jean Freed commented at the Feb. 17 meeting, that people are just throwing the blame at Kruyt’s feet, then instead of asking people to stop doing so, why not just have him leave? The chair should be independent from the whims of university structures, but it’s clear that at this point, not many people seem to want him there and that’s not helping anyone. While his Board appears to be in crisis, Kruyt himself was not even present at the last BoG meeting. If you’re going to be the chair of a Board that controls a huge educational institution, you’d think you could clear your calendar for a monthly meeting. The fact that he was not present at this meeting shows that he is either reluctant to appear in front of his BoG, or that he does not care enough about the university to show up.